A city with a vastly growing population of 726, 359, an exquisite addition to the growing number of soaring towers located in the heart of downtown Mississauga, CAMROST FELCORP pioneer in creating landmark condominiums and is behind many of the Greater Toronto Area’s most distinctive and memorable residential communities and commercial properties gives you yet another daring project, EXCHANGE DISTRICT, a new preconstruction condo located at 151 City Center Drive. The building design resembles a cube and cantilevers organized alternately piled on top of each other, such designs reminds us of the prowess being displayed by towers build in Dubai and some Arab countries. The dreamt condominium complex hallmarks 4 towers consisting of more than 2,000 UNITS, and a SOARING 72+ floors, amenities will pave way to NEW RETAIL, OFFICE, CULTURE, SHOPPING&DINING, BOUTIQUE, HOTEL, PARKS&PUBLIC SPACES, CONDOMINIUM RESIDENCES, STEPS TO SQUARE ONE SHOPPING CENTER, NEW LRT RAPID TRANSIT. Exchange your perspective. 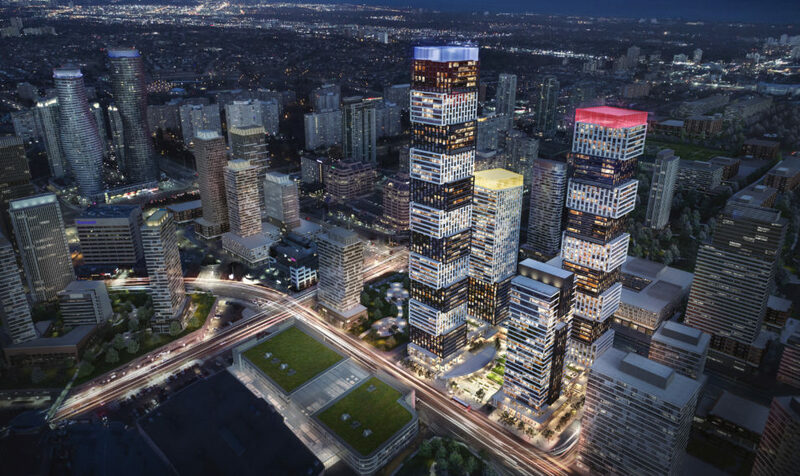 Experience the future of downtown Mississauga. 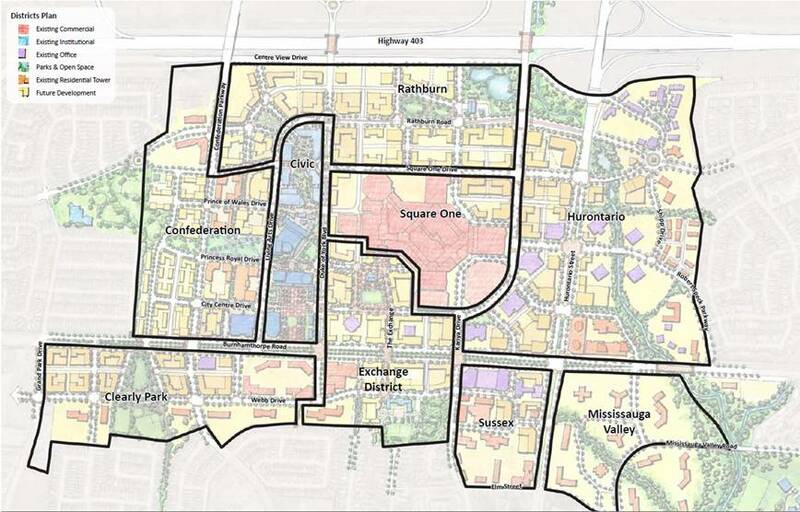 Area Amenities: Schools, banks, restaurants, pharmacy, hospital, bars and entertainment hubs are within reach. Register Now to be among the first to discover the Exchange District Condos!